Even if your machining or fabrication project requires services we don’t perform on-site, Barnes Manufacturing Services works with a network of reputable partners to offer these secondary services. This allows us to provide comprehensive manufacturing services for metal and plastic products, while saving you the step of finding other vendors. 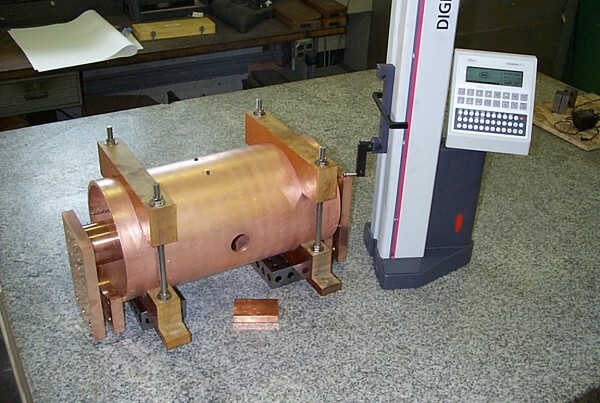 Metal Grinding – A process in which a very fine finish and very accurate dimensions can be produced. Blanchard Grinding – A process is used to quickly remove stock from one side of a large part, in which the part is often held by a magnetic chuck as it is ground. This is often used for ferrous metals. Plasma Cutting – A process used to cut steel and other metals with an ionized plasma gas stream. Heat Treating – A process in which a metal part is heated at high temperatures in order to harden the surface. Metal Spinning – A metalworking method in which a disc or tube of metal is rotated and formed into an axially symmetric part. Electro-plating – A process in which one metal is plated onto another by hydrolysis, most commonly for decorative purposes or to prevent corrosion of a metal. Anodizing – An electrochemical process that converts the metal surface – often aluminum – into a decorative, durable, corrosion-resistant, anodic oxide finish. Electropolishing – Otherwise known as electrochemical polishing, this process removes material from a metallic work piece or part. It is done to polish, deburr or passivate metal parts. Stress Relieving – A process that reduces distortion and high stresses from flame cutting, machining, welding and other processes. All of these processes can be done, either at our shop or through business partnerships, but are only offered in conjunction with our primary services.